When I finished Torchlight about a year ago, I gave the game some very high praise, calling it "a brilliant little game... blissfully simple... delightfully paced compulsion loop." 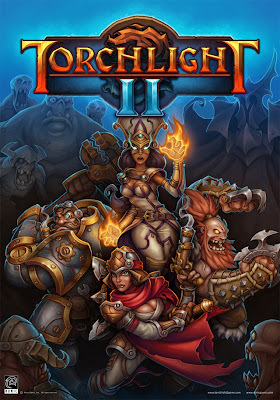 By the time I wrote these words, Torchlight II had already been announced. 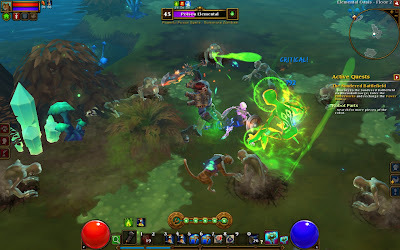 Runic Games was beginning to release images and videos and developer blogs detailing the advancements that they were making on the play mechanics. I was really excited, and by the time that the game was actually released, I had already pre-purchased and pre-loaded the game on Steam. I was ready. Not too long ago, I got to the end of the main quest, and I really enjoyed it. As is my custom, I wanted to attempt to write something about my experience with the game, but I haven't been able to produce any interesting thoughts on the game (in spite of the fact that the game is really quite fun). So, I've been procrastinating for a few weeks, which certainly hasn't elucidated the matter at all. 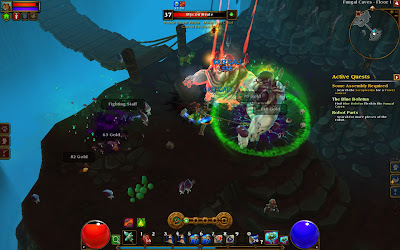 What can I write about Torchlight II? I had a pretty good idea of what the game was going to be like before I played it. I expected to enjoy it, and the game didn't disappoint me. Torchlight II is very much an improved-upon sequel to a game that was already—how did I word it—"nearly flawless" (please forgive the hyperbole). 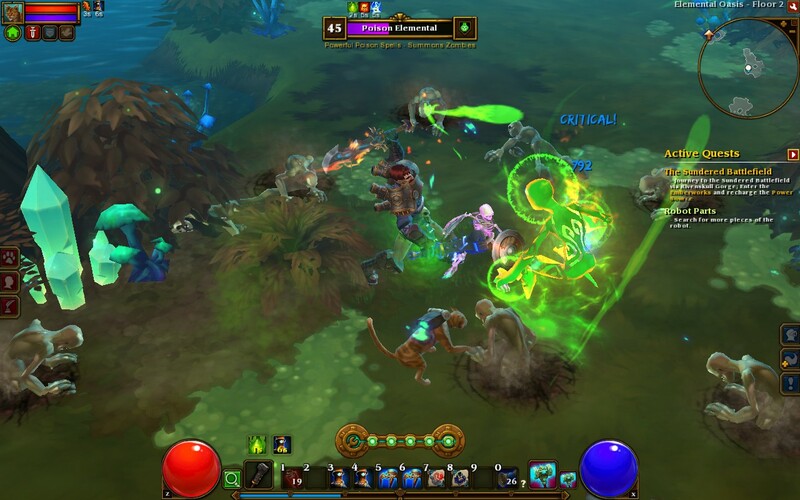 The one substantial addition to the Torchlight II was multiplayer. In general, I like to take my time with a game like this, so I didn't spend a great deal of time inviting other people into my adventure. However, I did roll a character just to pal around in other people's worlds, and I had a fantastic time with that as well. I know that it's difficult to write anything entertaining about a game without some detailed criticism (good or bad) to present, but Torchlight II is the sort of game that doesn't warrant any close examination. It just deserves to be enjoyed.